A 55 year old lady suffering from schizophrenia had visited Sujay’s Dental Care complaining about loose teeth, bad breath. Further she was unable to chew properly. As a part of Evidence based treatment we took full mouth OPG. After examining OPG x-ray of the teeth, our team of dentists decided to go with full mouth rehabilitation using immediate dental implants followed by upper and lower hybrid prosthesis. After all the procedure, she was adviced for a regular 6 months follow up and anti-depressants were given. 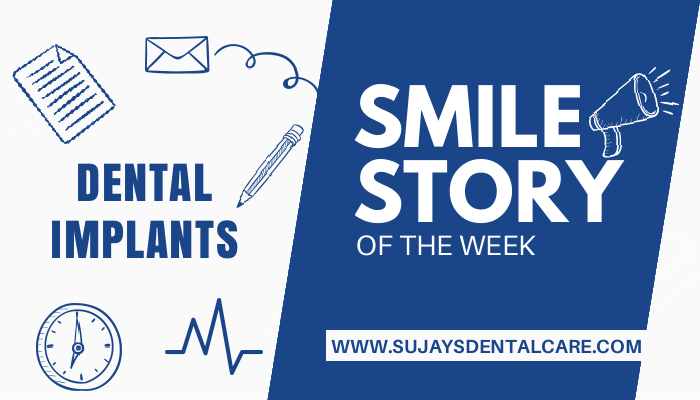 This entry was posted in Dental Implants, Smile story of the week, Uncategorized. Bookmark the permalink.